Home sales in the Celina area were down 5% in May 2014 compared to last year, with 18 homes selling this month. So far this year, overall home sales have an increase of 30%, with 85 homes sold. New Celina real estate listings decreased 29% from last year, with 22 homes listed this month. For the year-to-date, home listings have decreased 2%, with 132 homes listed. The number of current listings under contract this month was up 75%, at 28 homes. Listings under contract for the year-to-date have increased 65%, with 119 homes under contract. Visit http://www.dfwhomevaluesreport.com for more info. Home sales in the Celina area were up 0% in January 2014 compared to last year, with 5 homes selling this month. So far this year, overall home sales have increased 0%, with 5 homes sold. New Celina real estate listings increased 50% from last year, with 27 homes listed this month. For the year-to-date, home listings have increased 50%, with 27 homes listed. The number of current listings under contract this month was up 46%, at 19 homes. Listings under contract for the year-to-date have increased 46%, with 19 homes under contract. 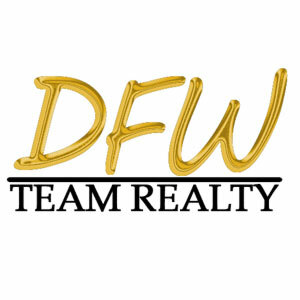 Visit http://www.dfwhomevaluesreport.com/blog/celina-home-values/ for the Full Report. Home sales in the Celina area were down 20% in December 2013 compared to last year, with 12 homes selling this month. So far this year, overall home sales have increased 2%, with 170 homes sold. New Celina real estate listings increased 57% from last year, with 11 homes listed this month. For the year-to-date, home listings have increased 23%, with 826 homes listed. The number of current listings under contract this month was down 29%, at 5 homes. Listings under contract for the year-to-date have increased 4%, with 172 homes under contract. For the Celina Home Values Report visit http://www.dfwhomevaluesreport.com/blog/celina-home-values/. Read the latest market reports for Celina, Texas home sales and real estate. Browse MLS listings, foreclosure listings and other tools to help you buy or sell your home.